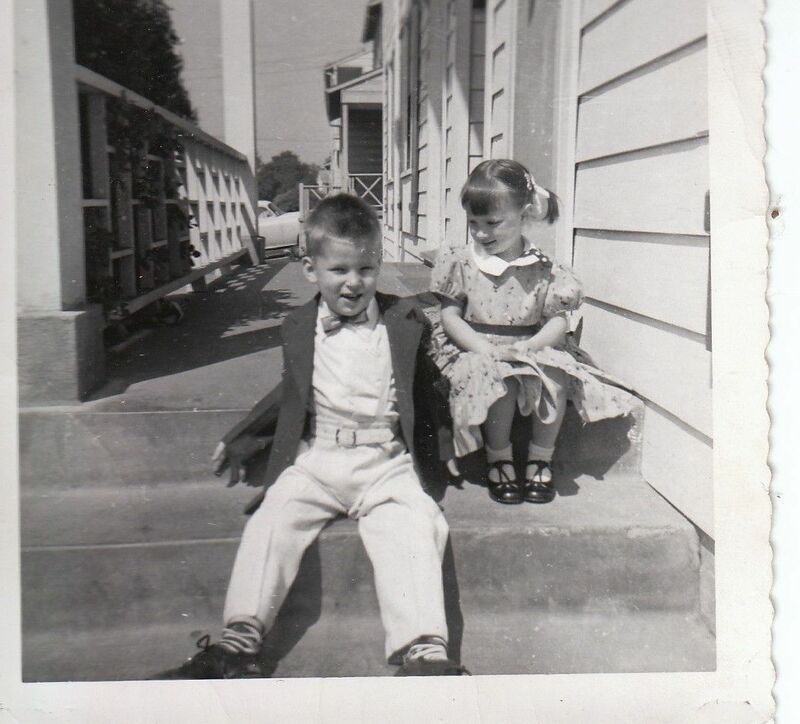 Me and my brother, Robert. The thing about tragedies is that they can catch you by surprise. You get up in the morning and lazily eat breakfast as if you have all the time in the world. You pick out something to wear (as if it mattered), and lackadaisically wander through the routine of a morning. You think your meaningless thoughts, none of them giving you any warning as to what’s about to come. All the while a tragedy, is secretly unfolding, sneaking up behind you, changing your life forever. My older brother Robert and I were extremely close. So close, even his wife was envious of our relationship. We could be in a crowd of friends, look across the room at each other, and nod, as if to say, “yeah…I get it, I am thinking the same thing as you.” As my psychiatrist, Dr. Teemis told me once, my brother and I had to keep close to each other just to survive our childhood. We remained close even after I had gotten married at sixteen and was pregnant with my first-born son and he was a world away, fighting for his country and his life in Vietnam. He was eighteen-years-old. I tried not to let my worry consume me, but I kept a good luck charm for him on a shelf in my living room. Some days I would take it off the shelf and hold it in my hands, hoping it was working its magic and keeping him safe. But fear still gathered in my stomach and buzzed in my ears when I thought of him there, alone, without me to watch over him. When he got back to the states, he had seen too much, done too much, to ever regain the innocence of youth. He self-medicated with drugs, and got kicked out of the Army with a “bad conduct” discharge after getting caught stealing pills out of the pharmacy at the Presidio. By the time he got back to Los Angeles, he was suffering from major depression and the after effects of malaria. I watched him sometimes, while he slept with his eyes open. I worried more about him now that he was home then I did when he was in Vietnam. Several years went by; Robert had married and I had finally gotten away from Michael the Archangel. Both of us were suffering the horrible effects of our childhood and our own choices. His depression was as bad as my anxiety. He was living with my parents, and I was frantic, trying to get him help. I took him out to the Veteran’s Hospital, but he was turned away (bad conduct discharge). I took him to the Los Angeles County Mental Health Department. Before we went for his appointment, I called and made sure they understood the problem in case he wasn’t exactly open about it. I told them that he had tried to kill himself by swallowing pills and that I was really worried about him. A week later, he left the appointment with a 30-day supply of Elavil. (His estranged widow later won a lawsuit involving this incident). “All morning long? I’ll be right there,” I said. My legs turned to jelly. I got my boyfriend to drive me to the apartment, about five minutes from my place. I ran into the bedroom and shook him. “Robert,” I yelled. He was lying on his side with one arm over his head. He looked peaceful, as if he had just fallen asleep. When I shook him and yelled his name again, he grimaced, and the word “seizure” entered my mind for the first time. I ran into the living room and grabbed the phone. I called for a paramedics and waited for what seemed like a half hour. Once they got there, they took over. I waited in the living room with my mother and tried to listen to what was going on in the other room. My fear kept me frozen to the chair. I kept waiting for one of the paramedics to come out and tell me that he was sitting up and talking, but all I heard was the beeping of some machine they had taken into the room. “Seizing! Seizing!” I heard one paramedic shout. The two young paramedics burst out of the bedroom, and wheeled him quickly through the living room and out the door. He looked gray. One young paramedic attempted to reassure me as he passed by, but even he looked scared. By that time my father was home and we all jumped into his car and followed the ambulance to the hospital. As we got about halfway there, the paramedics suddenly pulled over and tried to wave us on. My father pulled up behind them and stopped anyway. I was sitting in the middle of the front seat, hanging on to the dashboard, unable to sit back into the seat. I could hear my heartbeat in my ears and my breath caught in my throat. One paramedic jumped out of the van and threw open the back doors. I watched as he frantically pumped on my brother’s chest. The other paramedic shut the doors behind him and jumped back in the driver’s seat, turning on lights and siren as he screeched away from the curb. Once at the hospital, I did not see Robert again. By the time we parked and got through the emergency room doors they had taken him away. We gathered together in the waiting room. No one said a word. Finally, a doctor came in and shook his head. “I’m so sorry,” he said. For some reason, all I could think was that I had to call someone, a pastor who had been counseling both my brother and me for free through the Salvation Army. I had called him as soon as we arrived and asked him to pray. I stumbled over to the pay phone and placed my quarter in the slot at the top. I needed him. I needed him right that second. He answered on the first ring. “Wilber?” I started. I heard myself start to scream. “No!!! !” I wailed. I screamed again. My knees buckled and the receiver flew out of my hand. A young woman, sitting by the pay phone, jumped up and ran out of the room. A doctor hurried in and told us it would be best if we went home. There would be nothing left for us to do there. We had to leave my brother in that cold, unfamiliar place, all alone. Robert. Robert Bruce Amthor: March 27, 1950-August 24, 1975.